(Newser) – One of two brothers who say Jussie Smollett paid them to help him stage a racist, anti-gay attack against himself has won an amateur boxing title in Chicago, the AP reports. 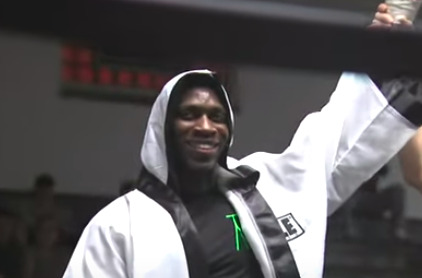 The Chicago Tribune reports that Abimbola "Abel" Osundairo became a Chicago Golden Gloves champion with a technical knockout Friday night at a stadium in the Chicago suburb of Cicero. Osundairo won the senior novice division at the 178-pound limit. Police say Osundairo and his brother told investigators in February that the Empire actor paid them to help orchestrate a Jan. 29 attack in downtown Chicago because he was unhappy with his pay on the Fox TV show and was looking to promote his career. Police have said the brothers are bodybuilders and aspiring actors who knew Smollett. Their testimony led to criminal charges against Smollett, which were dropped in March. Smollett maintains the attack was real. Everyone involved is getting attention which they crave yet no one is getting the truth . People the brother already said they NEVER punched him, just gave him some light slaps. They also claim they did not leave a mark on him & any signs of such were self inflicted. How has nobody offered these two enough money to do an interview?